The candidate picked up her portfolio and left without another word. At least she didn’t come back and sue me for harassment – thinking I had some crazy head-fetish. 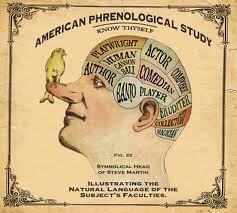 Of course, we don’t use phrenology in our selection process. It is a pseudoscience popular in the 19th century, and completely discredited today. No self-respecting employer would. But plenty of them use other tests that are just as useless. In France, analyzing job candidates’ handwriting is quiet popular. Some estimates show that it is used by as much as 50 percent of employers, even though there is no evidence that handwriting analysis can accurately predict personality. When more than one analyst is given the same handwriting, for example, each arrives at a different analysis. It’s easy to scoff at the French, but U.S. employers are almost as bad in their use of one dreaded tool: the personality test. Most employers use these tests in conjunction with resume evaluations, interviews and other assessment tools in their unending quest to find perfect employees. The EEOC has ruled that this is perfectly acceptable, as long as it is not the sole decider in making the decision, and does not discriminate against a protected class (women, minorities, the disabled, etc.). The first personality tests were psychological tests such as the Minnesota Multiphasic Personality Inventory (MMPI). The problem with these tests is that they were designed to determine if someone had a psychological disorder, and if so, what it was. They were not designed to determine who would make a good employee. In other words, they worked off the assumption that you were crazy. The question was, what type of crazy were you? While most employers today do not use these types of tests (although the U.S. government still uses the MMPI for highly sensitive jobs), they continue to use tests that are not designed for hiring. Many still use the Myers-Briggs, for example, even though this was a tool designed to help with training and development. It can be beneficial to customize career paths and development programs once someone is on board, but it doesn’t necessarily help employers identify the best candidates. That’s one of the problems with most of these tests. They fail to predict who will make a good employee. For example, the test may be able to tell an employer whether the person is an introvert or an extrovert, but that doesn’t tell the employer whether that person would make a good sales person. Other factors, such as experience and attitude, are needed to determine this skill. Another problem is that employers often don’t know what traits make a good employee in the first place. Many would instinctively say that an extrovert would make a better sales person. However, good sales people tend to be good listeners, and extroverts tend to talk more than listen. The biggest problem with many of these tests is their reliability. The companies selling the tests will tell you that their test has been designed to ensure 100 percent honesty from the person answering the questions. Even if this is the case, the tests require that the person has an accurate self-perception in the first place. I once provided two dozen managers with a test to determine their management style. Of them, 23 had results that showed them to be participatory. This style encourages employees to voice opinions and empowers them to make decisions. The managers knew that this was the organization’s preferred style, so their answers naturally reflected this. I worked with many of these managers, and knew that their style was not participatory. They were either giving the answers they thought they were supposed to give, or else didn’t understand themselves enough to give the appropriate answers. I stopped using personality tests in hiring years ago. While they often gave some insight to a person’s personality, they generally only confirmed what we read about the person from conversations and interviews. They added no insight. And even when they did, what might be considered negative traits were often overlooked in favor of other factors and so they did not change our hiring decision. They were also time-consuming and expensive to administer. So we dumped them, and guess what? We saw no decline in our success rate of new hires. A woman I know had all the qualifications, licensing and certifications for the job she was applying for. She had years of experience and could quantify her success. The last step in the process was a personality test. After taking the test, she was told that it showed she was not a good fit for the profession. Why do employers use personality tests if they don’t work? I blame my own field of HR. We succumb to the pressure to deliver perfect candidates every time. Personality tests provide the illusion that we are doing just that. On the surface, tests make it appear that we are providing scientific evidence that someone is a successful hire in a process that is anything but scientific. So the next time an employer wants to use a personality test before hiring you, ask them to feel your head instead. This entry was posted in If You Were a Tree ..., What's New and tagged Employment, If You Were a Tree ..., Testing. I used to be in a position where I interviewed and hired people now and then. It was a frustrating experience. Most applicants seemed completely unsuited for the job and never made it to the interview process and most of the rest seemed awful in person. I would narrow it down to a few applicants, pick the best one who would then turn out to be ill-suited for the job. I don’t know how you do it!